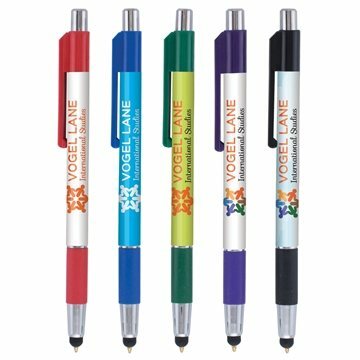 Weighted - A stylus version of our popular colorama trimmed with bright chrome accents and a rubber grip. 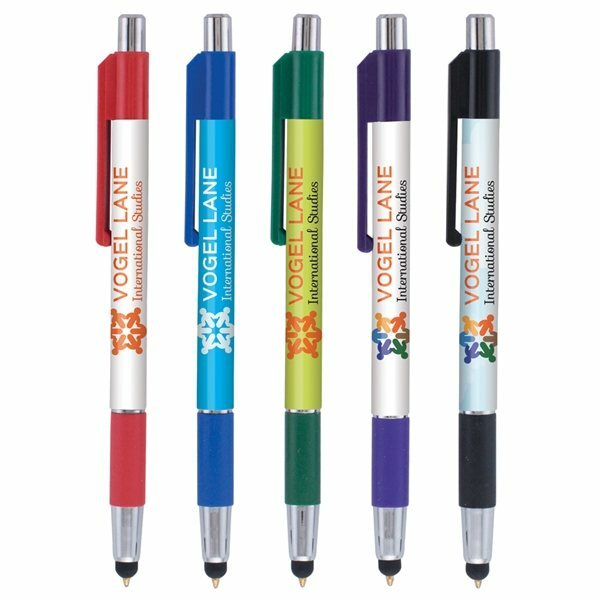 This USA Made* plastic pen features our SimpliColor™ printing process giving you a huge imprint area with virtually unlimited colors. No set-up fees, no run charges and free ground freight. Our gel-like, Eversmooth® ink gives you an extraordinary writing experience in black and blue ink choices.